The flowers are blooming and so is the art in Deer Isle, Maine. This Memorial Day weekend some of our most favorite galleries will be displaying an array of fine art and crafts from numerous artists and artisans. The Turtle Gallery opens its doors with its fine and contemporary crafts from artists all over the world. You’ll find fiber, paintings, prints, jewelery, ceramics, glass, photography and more. 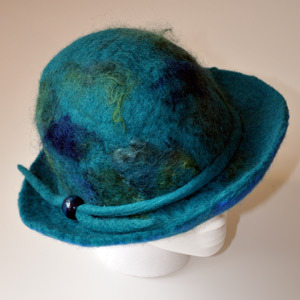 Down the street from Pilgrim’s Inn is the Red Dot Gallery, a cooperative of 9 local artists and artisans with gorgeous examples of fiber, jewelery, ceramics, and fine art. Across the Street from the inn is the Deer Isle Artists Association, which hosts regular exhibits throughout out the season. And be sure to stop by the Lester Gallery, featuring the fine photography of landscape photographer Terrell Lester. Later in the season the Islands Gallery, and Fibula with designer jewelry will be opened in Deer Isle village. These creative and beautiful crafts and fine art are located just steps from Pilgrim’s Inn. In addition to these great galleries, artists offer the chance to see their work at galleries and private workshops throughout Stonington and Deer Isle. It’s a great time to take advantage of some of our springtime specials at Pilgrim’s Inn, and purchase beautiful crafts and fine arts that you can enjoy for a lifetime.